Dies R Us: For You !! I have to admit that I am in love with the Words, Phrases dies... specially the script ones, I find them so cute but at the same time delicate to accent any card. 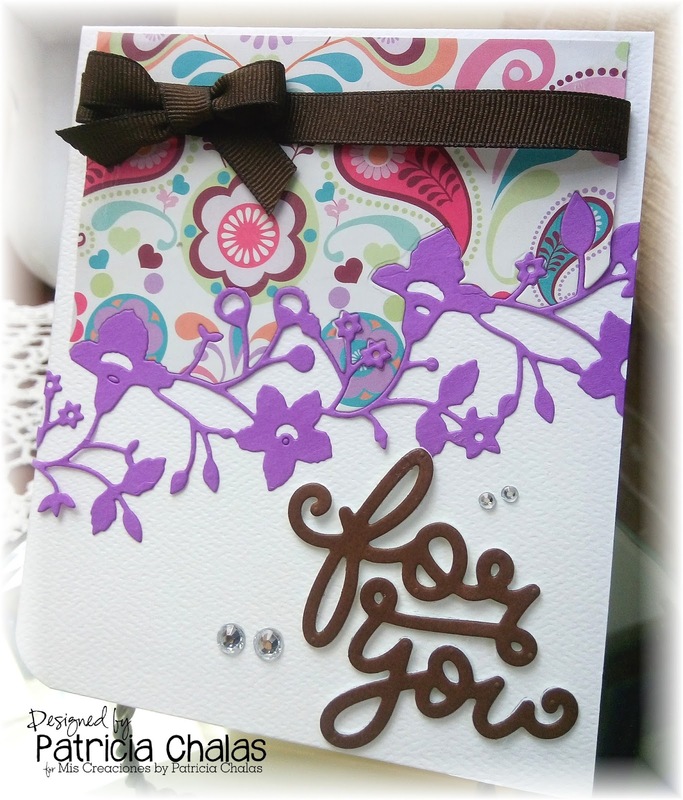 On my card, I used the Lawn Fawn Scripty For You die cut using brown cardstock and white foam for the height. 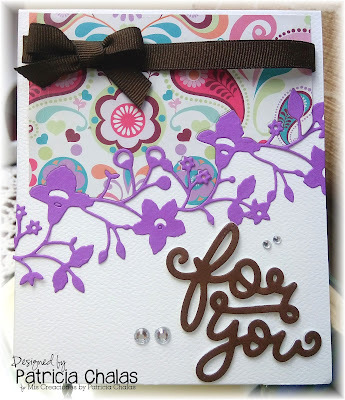 For the purple decorate border I used Catalina Border from Memory Box. embellish the card using clear rhinestones in 2 sizes and the gingham brown bow on top. Very pretty card. I love the idea of raising the sentiment by die cutting foam, great tip, thank you! Isn't that beautiful! Love your colors and die choices, those flowers, Catalina Border, is gorgeous! so pretty, I do like the die on an angle like that and those script sentiments are so pretty, really gives it a fancy look!! I, too, love CAS cards and your's is beautifully done with the placement of your dies. Thank you all girls for the lovely comments!! This is so pretty! What a gorgeous color palette!